T**his is not about blood or love. This is about treason. Nearly a year has passed since Amani and the rebels won their epic battle at Fahali. Amani has come into both her powers and her reputation as the Blue-Eyed Bandit, and the Rebel Prince's message has spread across the desert - and some might say out of control. But when a surprise encounter turns into a brutal kidnapping, Amani finds herself betrayed in the cruelest manner possible. Brilliant & exhilarating. 5 stars is not enough! A brilliant, exhilarating sequel to Rebel of the Sands. 5 stars is not enough to show how much I loved this book! Amani is kidnapped and taken to the Sultan’s palace where she stripped of her powers and must use her wit and instincts in order to survive and find a way to escape. 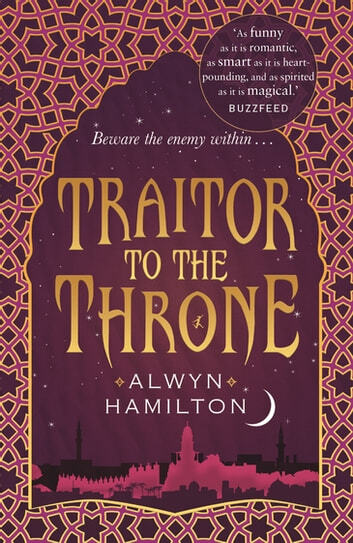 The Sultan’s palace is as intriguing as it is treacherous – Amani is among strangers and enemies where it would mean certain death if her identity as the Blue-Eyed Bandit is discovered. The Sultan does not seem to be the monster that she’s been told of. He is sharp, intelligent, resourceful and ruthless, and has her doubting if Ahmed is best choice to rule. Is it a façade or is he truly acting in the kingdom’s best interest? This book is Amani’s story. We don’t see much of Jin and are left in the dark (like Amani) for large chunk of the book, wondering what has happened to her rebel friends. She grows as a person and realises that there is so much more at stake than her survival. New interesting characters are introduced and old friends revisit, making it a captivating, suspenseful read with a shock betrayal and plenty of twists. The ending was heart-stopping and emotional, and I don’t know how I’m going to last until the next book. Even over 500 pages long, I was never bored or felt that it dragged. I was so caught up in the story and Amani’s predicament that the pages flew by. I didn’t want it to end! This is an mesmerising, gripping journey, with deep, real characters and a brilliant plot that will leave you breathless. 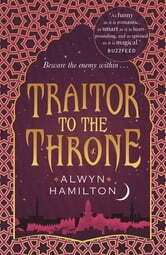 I loved ‘Rebel of the Sands’ but I think that ‘Traitor to the Throne’ takes Amani’s story to an entirely new level.